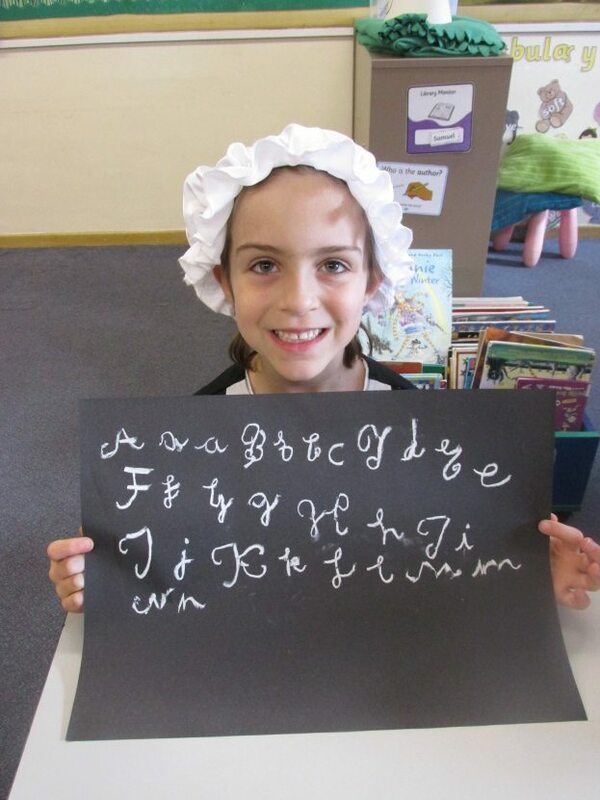 Year 2 travelled back in time to the 1880s last Friday for a taste of school life during Victorian times. Dozens of chimney sweeps and maids graced the classrooms, but a youthful Queen Victoria and her consort, Prince Albert, also paid an appearance. Nail inspections, writing on slates, drill with Mr Roberts and silent classrooms were the order of the day as the children came to grips with rote learning and the 3Rs (reading , writing and arithmetic). Unsmiling strict teachers, the dunce’s hat and the dreaded cane dominated, yet strangely many children loved the experience!